Corn flakes are one of the most popular breakfast cereals in the world and for countless people it is an integral part of their morning routine, which is an important products made by Corn Flakes Processing Line. Mr Kellogg, the man who created Corn Flakes, produced the cereal in the late 19th century and marketed it as a “healthy, ready-to-eat anti-masturbatory morning meal”. With this in mind he set about making a range of plain tasting breakfast foods that would once and for all put a stop to these impure desires, which resulted in the cereal we know and love today - Corn Flakes. So if you have ever noticed that your thoughts are particularly wholesome while having your morning cereal, then you have Mr Kellogg to thank. 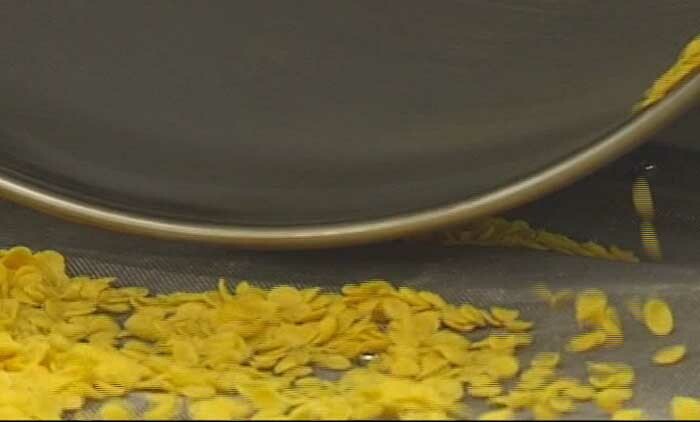 Corn Flakes Machine from Dragons Machine is continuous and automatic, with the unique twin-screw extrusion technology, the health nutrition of materials are completely kept, also become easier to be absorbed by human body. Corn Flakes Machine can produce corn flakes with various tastes, and breakfast cereals with various shapes. For more details about Corn Flakes Equipment, please contact us for more details. Next: Dragons Machine Wish You Happy Chinese New Year!